Dan Mitchell has a knack in this re-blogged post to get the concept of socialism versus capitalism across very succinctly. If you ask an economist about the difference between capitalism and socialism, you’ll probably get a boring answer about the size of government, the impact on incentives, and the power of the state. Or maybe you’ll get a nit-picking answer, sort of like when I explained that Obama technically isn’t a socialist. That’s why it’s sometimes best to use simple, common-sense analogies. Two years ago, I used two cows to explain the differences between various economic systems. 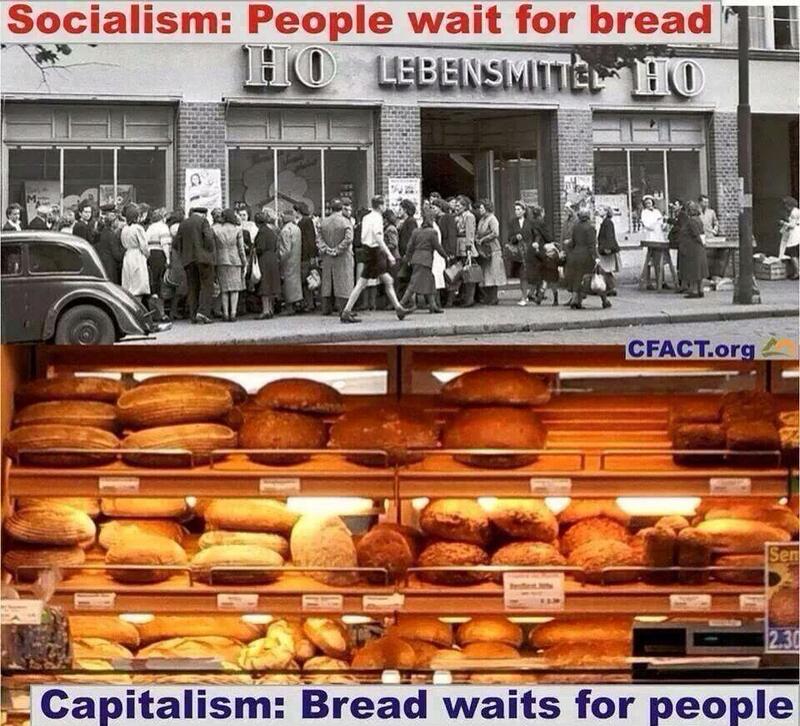 But this image may be an ever more succinct way to showing the difference between capitalism and socialism. Or, if you prefer stories, this updated version of the fable of the ant and the grasshopper makes the same point. And here’s the PC version of the Little Red Hen.